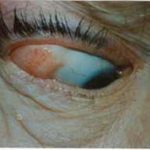 Growths on the Eyeball – M. Polly McKinstry, M.D. 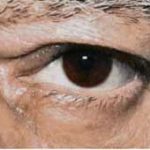 A lipodermoid or dermolipoma is an anterior protrusion of orbital fat that advances onto the eyeball. It has an abnormal fibrous tissue covering. 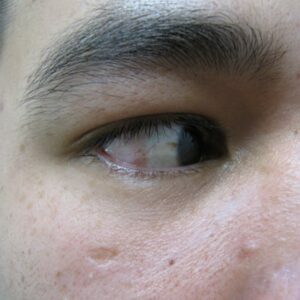 It can push the eyelids out of position and be unsightly as well. 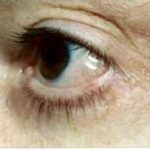 This can be removed using an incision hidden under the eyelid. Note: You may click on any image below in this article to enlarge and view the description. 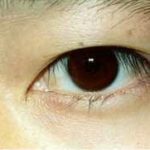 A pterygium is a growth of fibrous tissue with blood vessels that grows on the white of the eye and covers over the cornea. 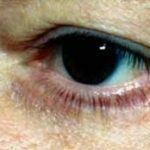 It is caused by exposure to ultraviolet sunlight as well as having a familial tendency. 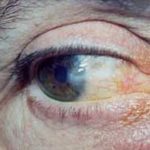 It can decrease vision by either growing over the pupil or by elevating the eyelid off the eyeball causing irritation to the cornea and subsequent irregularity of the corneal surface. 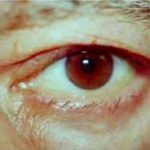 Dr. McKinstry’s procedure involves surgery under the microscope in which the abnormal tissue is removed and the white of the eye is pulled up in a flap to cover the defect lateral to the cornea. 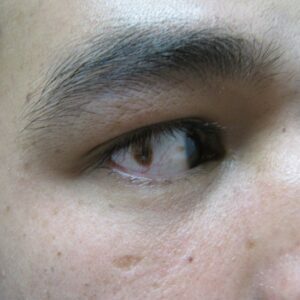 The corneal surface will heal itself. 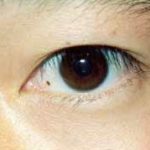 Small moles (nevi), cysts or other growths of the conjunctiva, or white of the eye, may be removed to check for malignancy. This also will improve comfort and appearance. 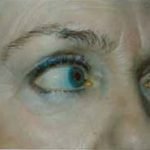 Occasionally, patients may have a swelling of the tissue between the sclera and the conjunctiva in the area of the white of the eye which does not go down despite repeated treatment with medications. 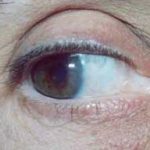 In this case, Dr. McKinstry can perform a procedure in which the delicate, clear white conjunctiva is lifted up and the swollen tissue beneath it (Tenon’s capsule) is excised and the conjunctiva is laid back down sealing itself to the fibrous coat of the eyeball, thus correcting the condition.